In August of this year The Getty announced the launch of their Open Content Program which sees more than 4500 images from their collection made available under an open license, meaning anyone can share the images freely and without restriction. We’ve spent the day trawling the thousands of images to bring you a small selection of highlights from their wonderful collection. Visit their site to get exploring yourself. 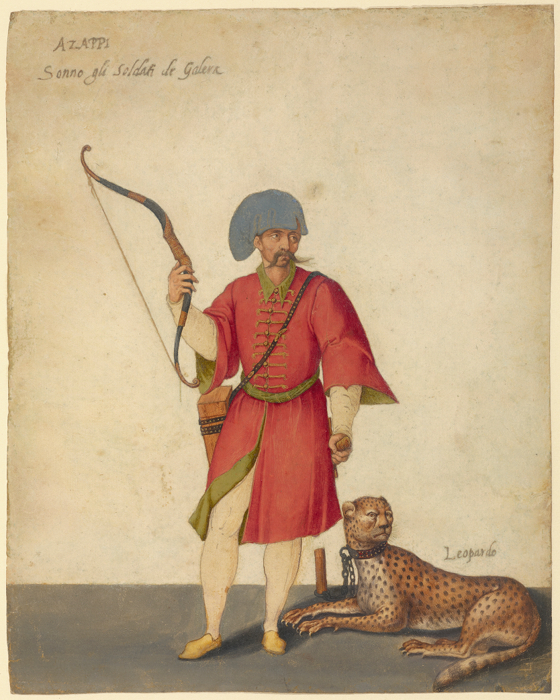 An Azappo Archer with a Cheetah; Jacopo Ligozzi, Italian, 1547 – 1626; Italy, Europe; about 1575; Brush, pen and brown ink, tempera colors, and painted gold – Source. 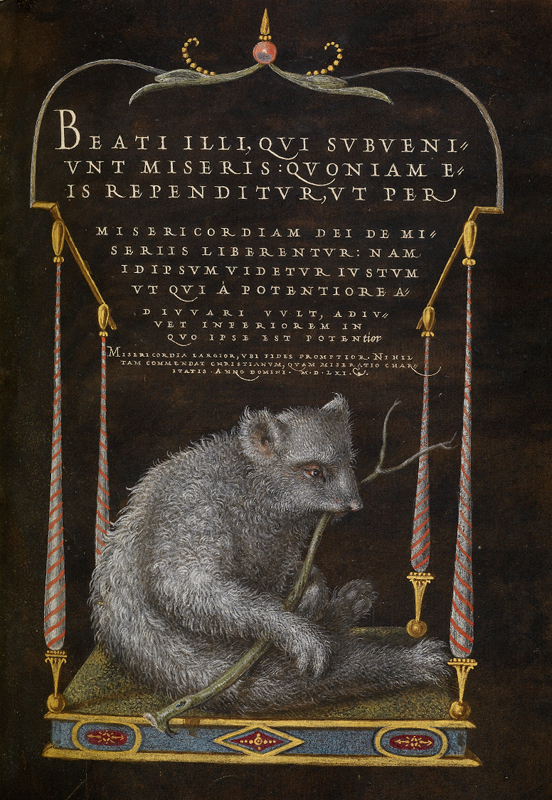 A Sloth; Joris Hoefnagel, Flemish / Hungarian, 1542 – 1600, and Georg Bocskay, Hungarian, died 1575; Vienna, Austria, Europe; 1561 – 1562; illumination added 1591 – 1596; Watercolors, gold and silver paint, and ink on parchment – Source. 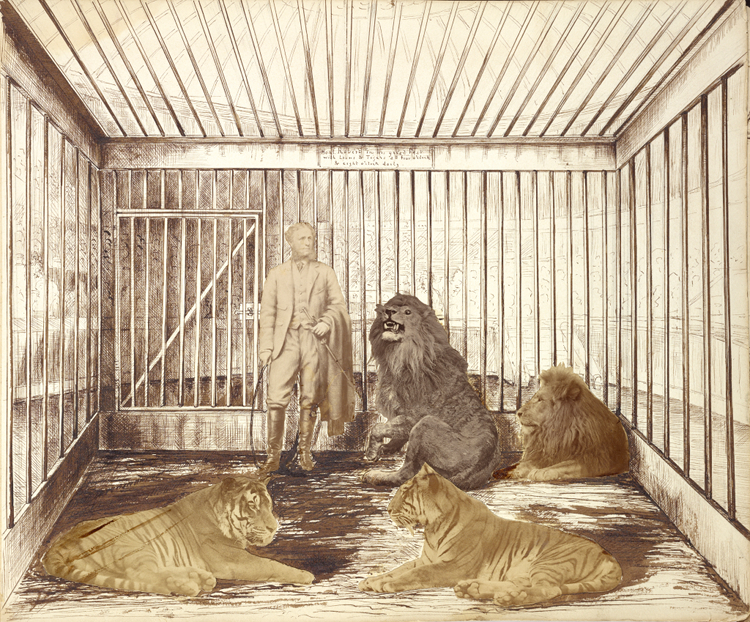 Portrait of a Man with Lions; Unknown maker, British; England, Europe; 1870s; Albumen silver print – Source. 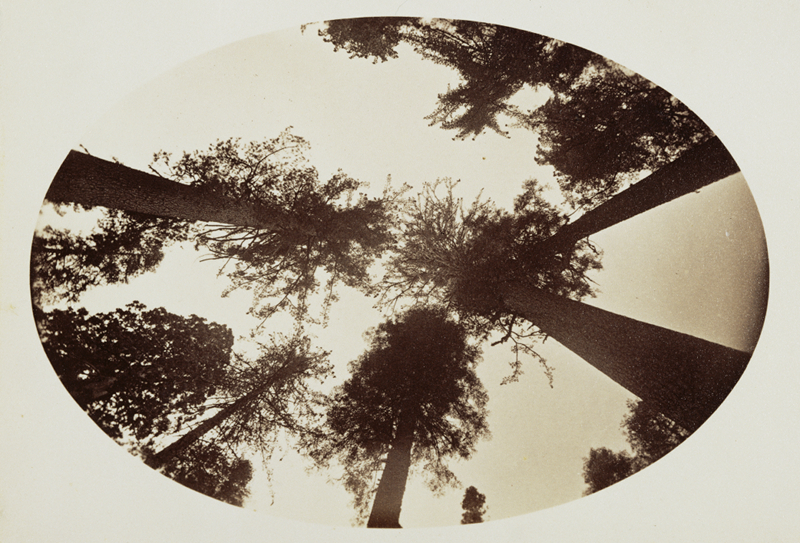 Among The Tree Tops Calaveras Grove; Carleton Watkins, American, 1829 – 1916; California, United States, North America; negative about 1878; print 1880 – 1890; Albumen silver print – Source. 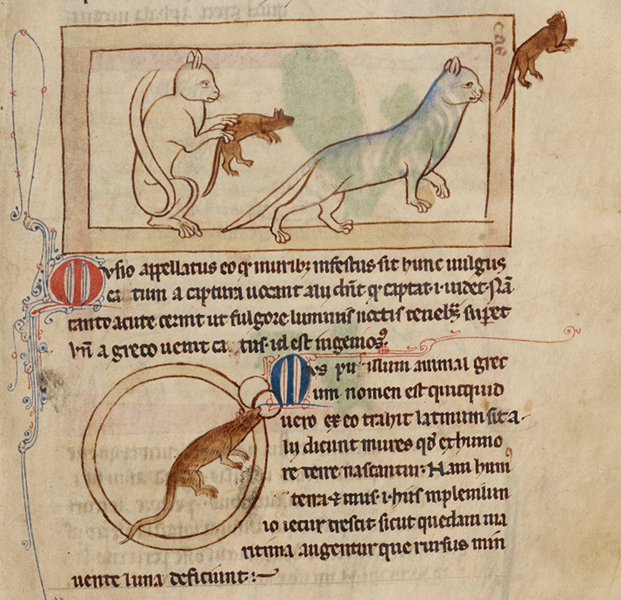 Cats, A Mouse; Unknown; England, Europe; about 1250 – 1260; Pen-and-ink drawings tinted with body color and translucent washes on parchment – Source. 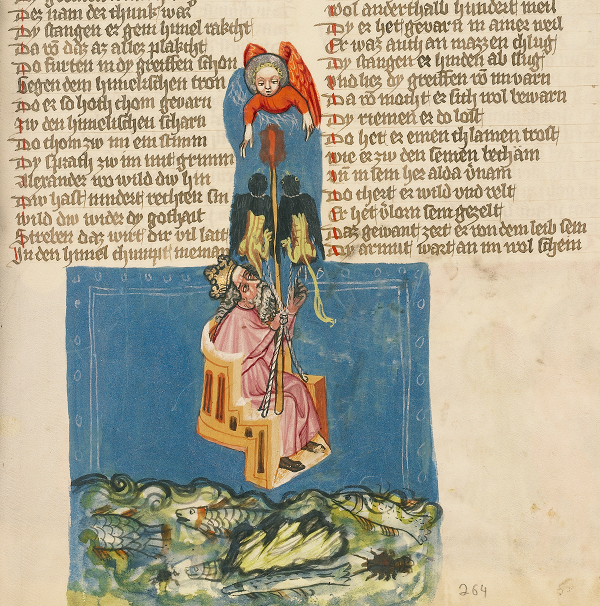 Alexander the Great in the Air; Unknown; Regensburg, Bavaria, Germany, Europe; about 1400 – 1410 with addition in 1487; Tempera colors, gold, silver paint, and ink on parchment – Source. 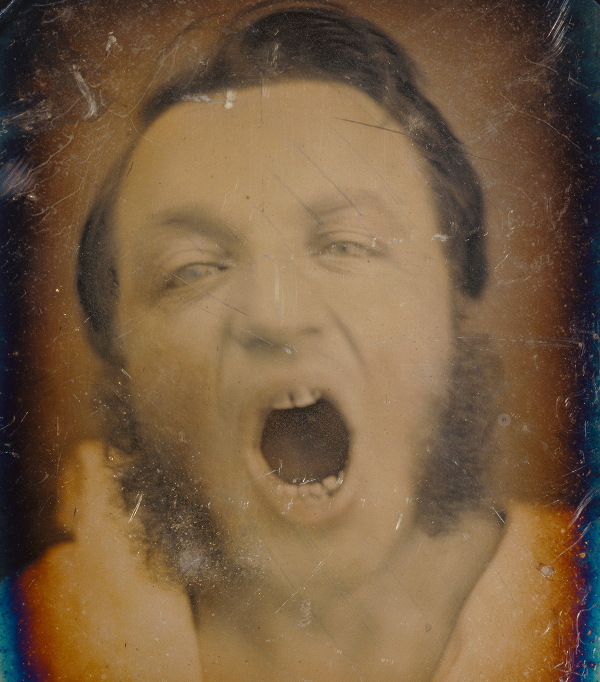 Man with Open Mouth; Unknown maker, French; about 1852; Daguerreotype, hand-colored – Source. 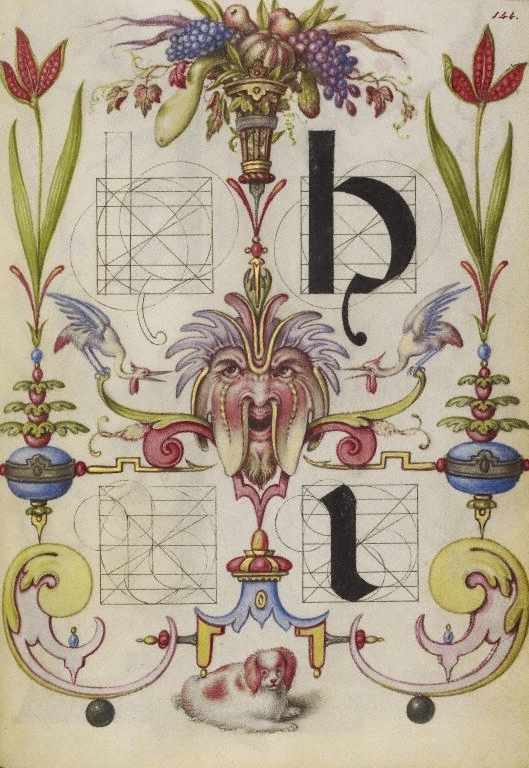 Guide for Constructing the Letters h and i; Joris Hoefnagel, illuminator [Flemish / Hungarian, 1542 – 1600]; about 1591 – 1596; Watercolors, gold and silver paint, and ink on parchment – Source. 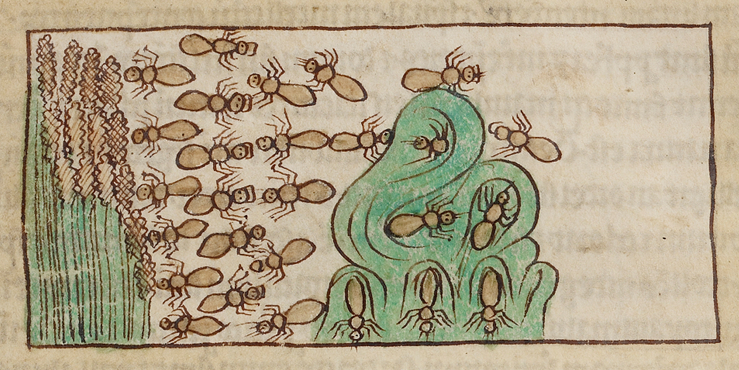 Ants; Unknown; England, Europe; about 1250 – 1260; Pen-and-ink drawings tinted with body color and translucent washes on parchment – Source. 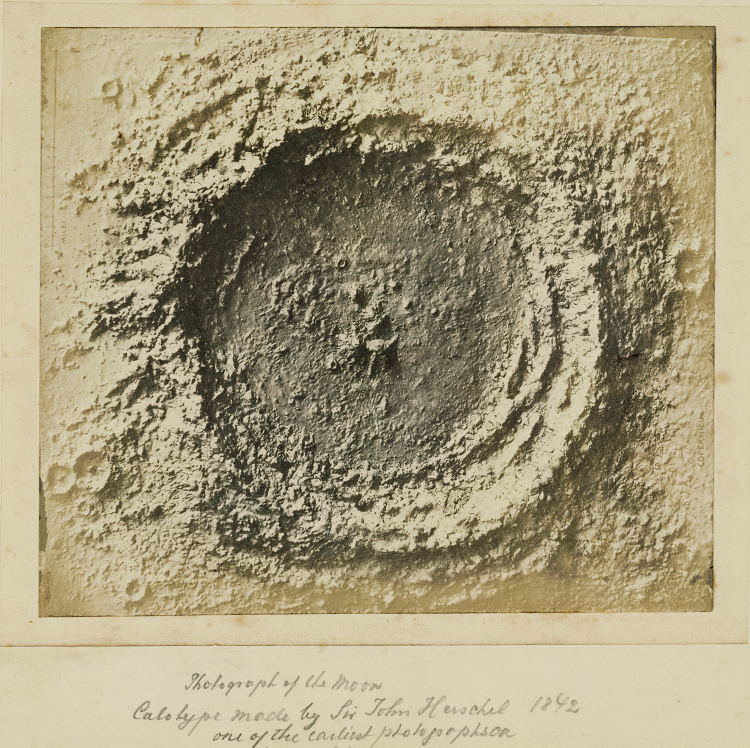 Moon Crater; Unknown; late 1850s; Salted paper print from a Collodion negative – Source. 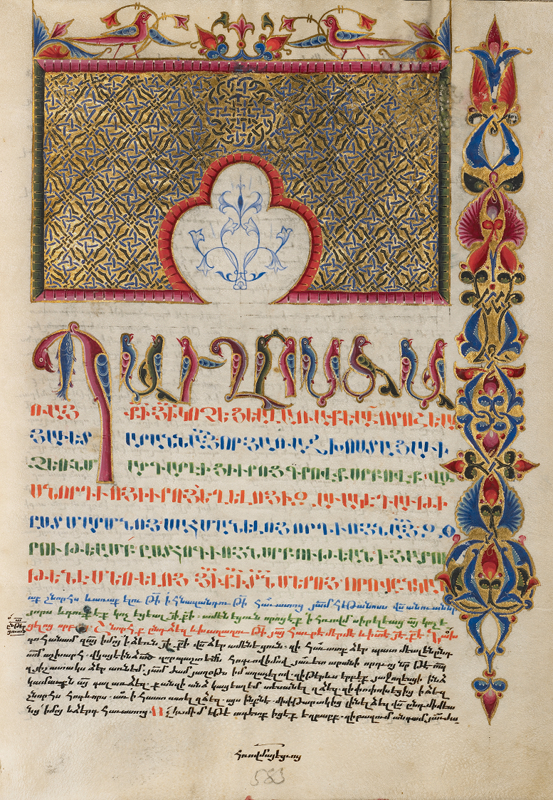 Canon Table Page; T’oros Roslin, Armenian, active 1256 – 1268; Hromklay, Armenia, Asia; 1256; Tempera and gold paint on parchment – Source. 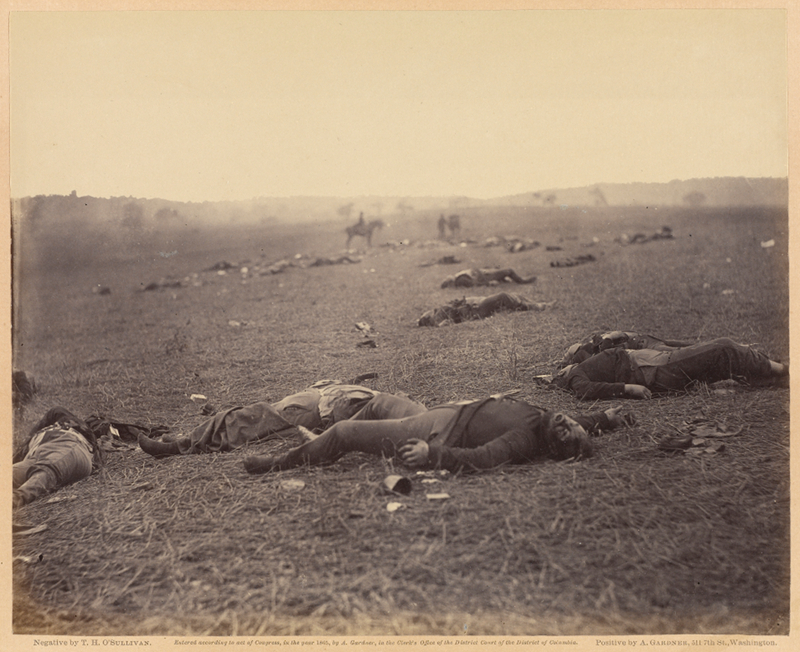 A Harvest of Death; Timothy H. O’Sullivan, American, about 1840 – 1882, Print by Alexander Gardner, American, born Scotland, 1821 – 1882; negative July 4, 1863; print 1866; Albumen silver print – Source. 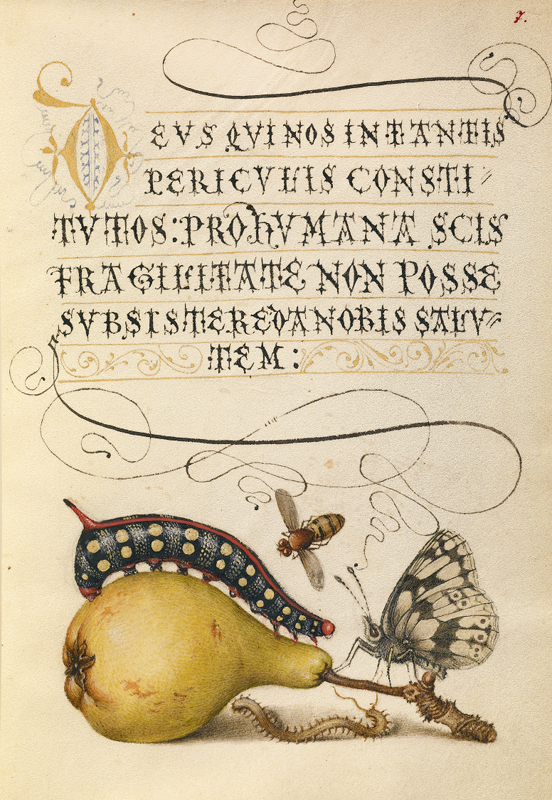 Fly, Caterpillar, Pear, and Centipede; Joris Hoefnagel, Flemish / Hungarian, 1542 – 1600, and Georg Bocskay, Hungarian, died 1575; Vienna, Austria, Europe; 1561 – 1562; illumination added 1591 – 1596; Watercolors, gold and silver paint, and ink on parchment – Source. 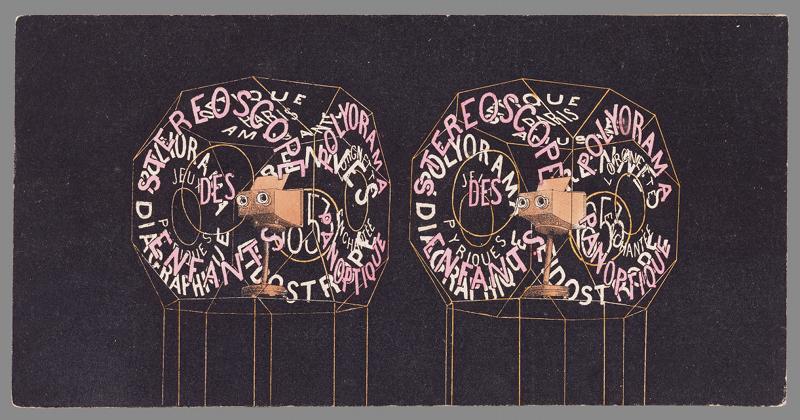 Polyorama Panoptique Lorchette Enchantée; Unknown maker, French; about 1855; Lithograph, colored – Source. 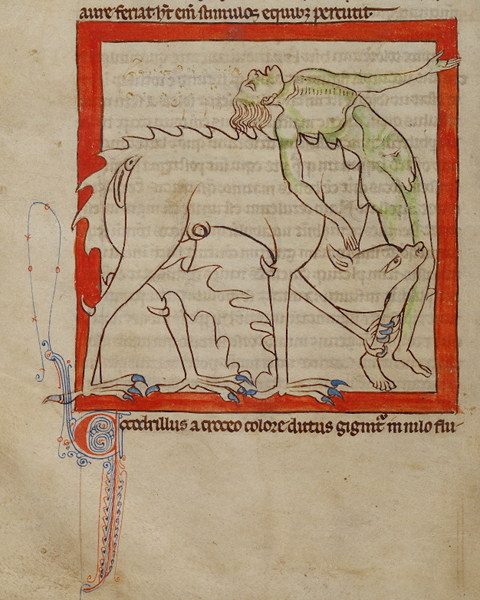 A Crocodile; Unknown; England, Europe; about 1250 – 1260; Pen-and-ink drawings tinted with body color and translucent washes on parchment – Source. 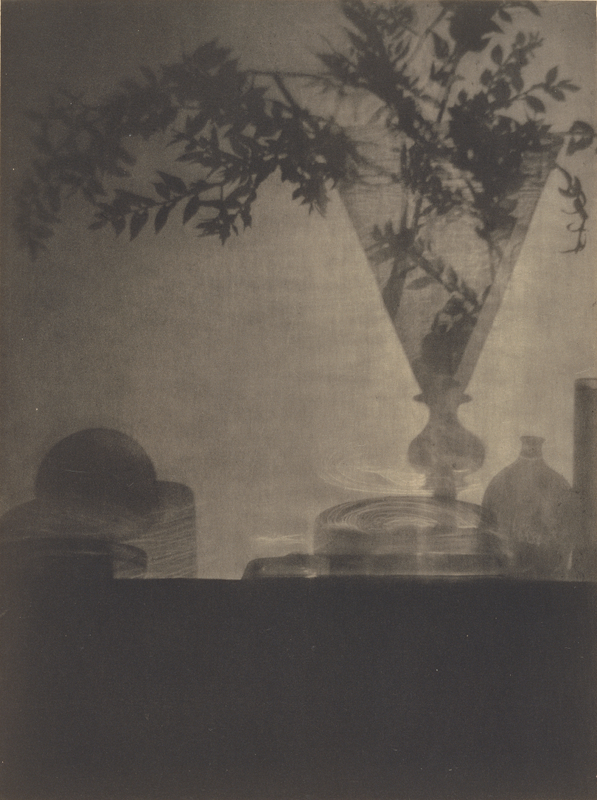 Glass and Shadows; Baron Adolf De Meyer, American, born France, 1868 – 1946; negative 1908 – 1911; print 1912; Photogravure – Source. 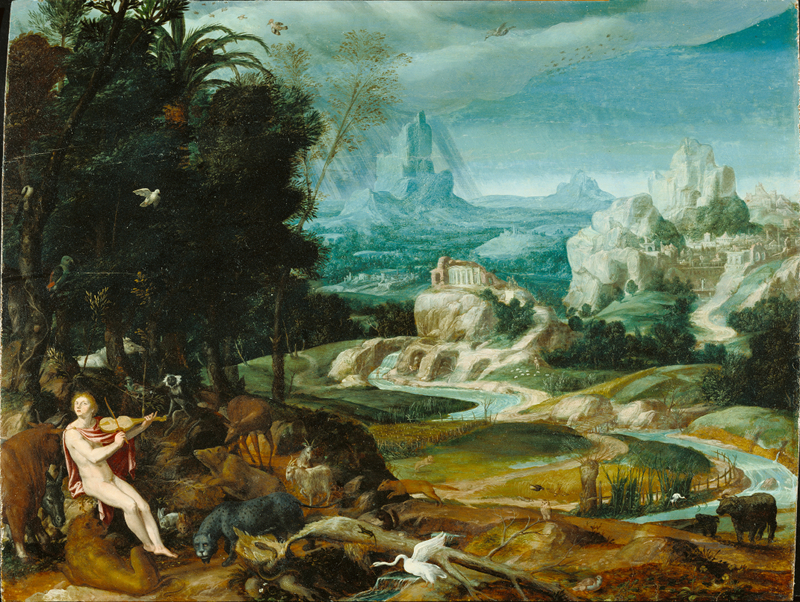 Landscape with Orpheus; Unknown maker, Flemish, 16th century; 16th century, about 1570; Oil on panel – Source. 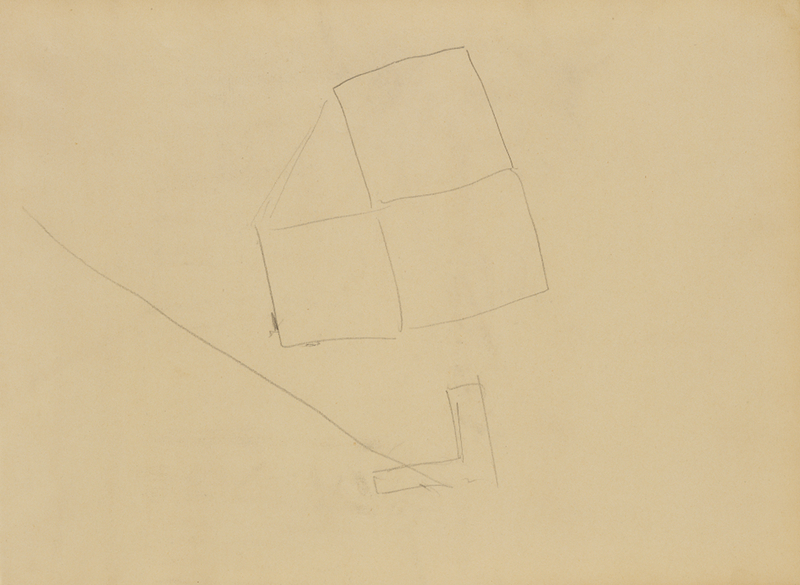 Abstract Lines; Edgar Degas, French, 1834 – 1917; about 1877 – Source. 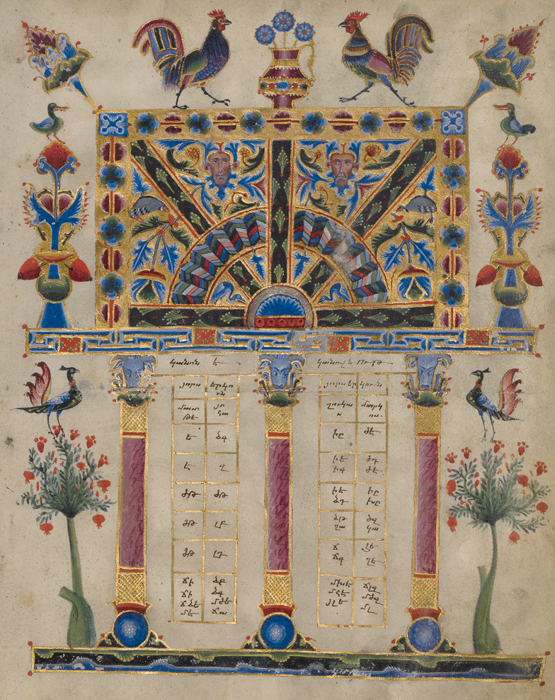 Decorated Incipit Page; Malnazar, Armenian, active about 1630s, and Aghap’ir; Isfahan, Persia, Asia; 1637 – 1638; Tempera colors, gold paint, and gold leaf on parchment – Source.